If you are looking for a present for someone’s little baby, you can have a look over this list of cozy and adorable baby blankets. These blankets make a good gift for infants that are too young for kids’ games. If you want an addition to kids’ toys, a security blanket will make days and nights more fun for babies, and they will also help them feel secure and soothed. Hudson Baby is proud to be a premium value brand for baby products. Parents that want a premium blanket but not at a premium price can look for this blanket. The blanket offers coziness and a soft fabric and it has a cute design with printed mink with sherpa backing. The blanket can be used for a variety of purposes, but it is mostly for making your child comfortably wrapped. It is great for snuggles and keeping your baby warm. You can put this blanket in the washer and it will still be soft after being cleaned. It is pretty large, measuring thirty by forty inches. Featuring bright colors that you can choose from — either rich blues and oranges or striking magentas and yellows, this blanket makes for a cute addition to your baby’s crib. It’s an excellent blanket for chillier evenings. The fabric is just a bit heavy with the purpose of making the child feel safe, soothed and comforting him while he or she learns to sleep in his crib. The printed side is velvety smooth and it treats the child’s skin with care and softness and the dotted side can be used as a play mat. The blanket can be machine-washed as the layers are sewn together and topstitched for more durability. This pack of receiving blankets is composed of 7 pieces and they are all made from 100% cotton. Receiving blankets are known for being very flexible — you can use them in any situation. Simple Joys says that you can use these ones for cuddling, swaddling or burping. The fabric is all wash-resistant but be aware that they might shrink a bit if utilized with a dryer. You can use these blankets for infants, but after two months they become a bit too small for the babies. This is because the blankets are only thirty by thirty inches. A great gift for a newborn, this dot blanket with satin trim is also great for today’s stylish moms. The blanket’s fabric is velvety soft on one side, and on the other, it’s smooth satin. Due to its fabrics, the blanket is lightweight. Its size is thirty by forty inches. You can wash this blanket with no issues; the white color and the softness will be kept for more years. It keeps its shape and there are no loose threads. The different fabrics on the side provide an alternative: for neutral temperatures you can choose the silky back and if you want to keep your baby warm, choose the warmer front face. Sometimes babies need something to make them feel safe and comfortable. The security blankets from Hudson Baby are intended to do exactly that. The blankets are made of extremely soft plush fabric and feature a cute stuffed animal face that will catch your baby’s attention. Very useful when the baby is separated from parents at daycare, playpen time or used to entertain on car rides, security blankets will help your child transition to independence more easily. Often taking the scent of the parents, these polyester blankets, will give the child the impression of being held and nurtured. If you want a blanket that will keep your baby warm wherever you go, this one is a good option. Embroidered with cute designs and satin trim, it will make for a great blanket for bedtime or as a stroller blanket. The fabrics are soft — one side is cotton and the other one silk. The blanket will keep its shape and fluffiness after washing. The size is thirty by forty inches and that means that this blanket is suitable for babies up to one year old with no problems. The colors are very likeable, and the blanket is very soft and bigger than expected. This 3D designed soft blanket is eye-catching and very colorful. Decorated with an amusing 3D character, that has its legs left dangling for the child to play with, the blanket is soft and gentle on the baby’s skin. Although the materials are so soft, they are also washable with no issues, for everyday use. The blanket can be used for many things like sleeping, cuddling, belly time or as a stroller blanket or a car seat cover. This item measures thirty by forty inches and it comes wrapped with a gift ribbon tied around it so it makes for a great last minute present. Ideal for aiding child development, this set composed of a plush blanket and a security blanket is very cuddly and soft. The security blanket is one that features a 3D giraffe face and it offers a safe place and emotional support to little babies. Both blankets are made from plush fabric and are soft and soothing. They are also wash-resistant and durable for everyday use. The bigger blanket can be used for all the baby activities: snuggling, cuddling, used in car rides, while the one with the cute animal face can be carried around everywhere by the baby. Made from chenille fabric, this blanket is thick, light and fluffy. Due to the material it’s made out of, this blanket is good for chilly nights in the baby’s crib and it also protects the baby’s sensitive skin. Made totally from polyester, one of the blanket’s sides is soft fleece, while the other is silky satin. The different sides are good for different weathers, so you can change to the side that is warmer when needed. The blanket holds up well to washing and the dimensions of thirty by forty inches ensure it can be used for almost all activities. For a soft touch on the baby’s gentle skin, this set of four receiving blankets is made of super soft flannel cotton. The blankets are very suitable for general use like swaddling, cuddling and they can be used for stroller or covering car seats. Each of the blankets is wrapped in a matching, colorful ribbon, so they all make a great gift for a baby. All the blankets carry different designs but they all match in the same theme and the patterns are gorgeous. The fabric is soft but also thin. The blankets are more suitable for warmer weather. Being a parent is exciting and overwhelming especially when you have to think about all sorts of stuff that babies need. One of these things are the baby blankets which should be made from a soft and breathable fabric. An item that is a perfect gift for a baby shower or a newborn, blankets are useful for bathing, cuddling and swaddling the little ones. These come in handy for adding warmth and coziness to holding the babies and are suitable for making them feel loved and secure. When searching for cool baby blankets, there are some things you might want to consider. If you’re not sure which are these aspects then let a team of experts give you some useful suggestions. 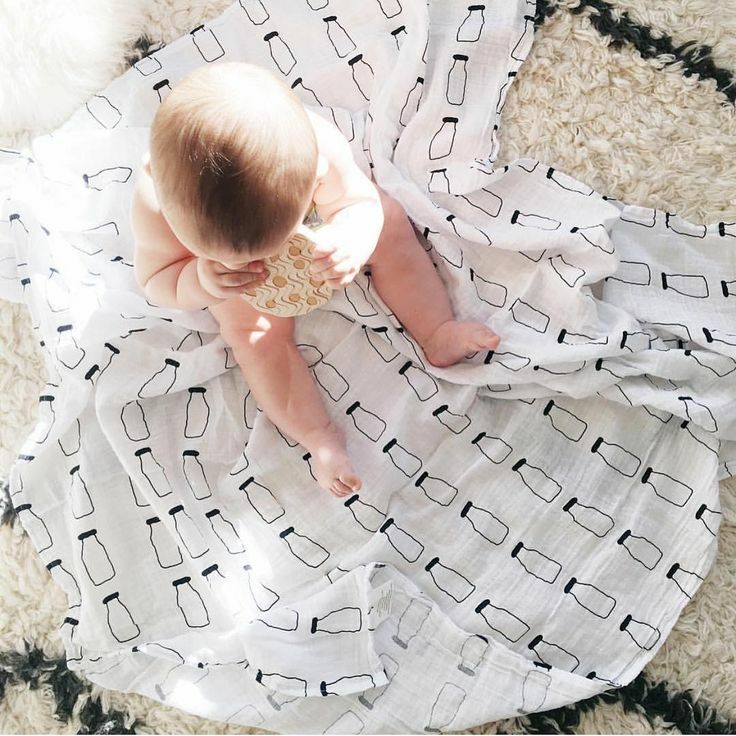 Based on indicators such as fabric, type of blanket and comfort they’ve created an interesting buying guide that is extremely valuable in your search for the coolest blankets for babies. Read these paragraphs and see how easy it is to get a baby blanket that you can use for a long time and it is soft and cuddly for your precious one. Just like adults, babies need a great deal of comfort during their day nap and at night, to stay warm. Because there are so many baby blankets available for sale, you might encounter some difficulties in choosing the perfect ones. So take a look at these features mentioned below and see if you can learn a few tips and tricks that you can use next time you go on your shopping adventure. The best baby blankets reviews recommend choosing a blanket based on what do you think you will use it for. No matter the purpose, you should make sure that the fabric is soft and comfortable for the baby. One of the most well tolerated by skin type of blankets is the one made of cashmere. Although a tad more pricey, cashmere blankets are more durable compared to synthetic fabrics. If there’s an added cotton in the composition then the blanket is even more lightweight and soft. The reason this luxurious fabric is chosen by many parents is that it is machine washable and it great for children that are prone to different skin allergies. Moreover, cashmere ensures proper breathability and warmth even during winter days and nights. In addition to cashmere blankets, you can’t go wrong with general blankets made from pure cotton. The reason why many parents prefer this type of material is because it is comfortable and softer and allows the skin to breathe. Plus, they are entirely hypoallergenic which means that they are extremely valuable for babies that suffer from skin conditions. Just keep in mind that these type of blankets aren’t so durable and tend to deteriorate after several washes, so be sure to have a pile of them within reach. There are baby blankets made from polyester which is more durable than cotton and less expensive. Nevertheless, they lack softness and many brands don’t allow machine washing at higher temperatures. With so many options available, it’s quite a hassle to know how to differentiate baby blankets. Most of these items come in various shapes and sizes according to their purpose and features. Before choosing a blanket, you should be able to tell which is more suitable for your needs than other. When it comes to blankets, you should know that there are five main types. These include receiving blankets, security blankets, crib blankets, stroller blankets, and swaddling blankets. If you need to purchase baby shower gifts, try to remember that each item must be used in specific occasions and it should meet the baby’s needs. In addition to size and practicality, a baby blanket has to become familiar to the baby after a while. During infancy, many parents prefer to use swaddling blankets because they are comfortable for the babies and they keep them confined. Some opinions claim that these blankets are able to imitate the time spent by the baby inside the mother’s womb. Suitable even for small infants, swaddling blankets are a great way to prevent them from staying awake. Plus, parents benefit a lot from not having to stay up all night in order to get the babies to fall back asleep. Given their cozy material and lightweight features, they are extremely useful in regulating the baby’s’ temperature. Similar to swaddling blankets, the receiving ones are a tad smaller and they are generally used as first items to wrap the babies after their birth. In fact, receiving blankets can replace the swaddle if the baby is still tiny. Crib blankets are a bit larger because they stay mostly in the baby’s bed. It’s ideal to have more than two blankets like these because they are usually all over the house and needed for multiple purposes given their size. You should choose crib blankets made of durable cotton or soft chenille that provide a cozy and warm environment for the babies, especially during chillier nights. Each baby tends to have a special blanket that he needs in order to fall fast asleep. This is a called a security blanket and it is usually made from a soft fabric. Cute and funky baby blankets are the ones that make children happy thanks to the nice and vibrant colors. Just like security blankets, stroller blankets are those items that you grab on the run. Comfortable and practical, they shouldn’t be too bulky or big. There are several materials so that you can adapt the stroller blanket for each season. While in the end the blankets you choose to purchase or put on your registry are entirely up to you, it is important to know their uses. You can never go wrong having a variety of baby blankets to choose from. Some may be used until they are falling apart while others may remain in pristine condition for years. Keeping in mind the different types of blankets can only help you in the long run. So while you are shopping consider these types and buy the blankets you know you are going to need. When choosing baby blankets you must consider various factors besides cuteness. Indeed, a lovely pattern is more likely to attract the baby’s attention and make them feel comfortable. But you shouldn’t overlook size, weight, and fabric quality. For instance, you need to establish the purpose of the blanket and get the size accordingly. A blanket for swaddling must be lightweight and a tad larger than the stroller one. In cooler months babies need blankets made from wool which is a tad heavier than those lightweight ones used during the summer season. Even though you might consider blankets as simple objects that keep your baby warm, you should invest in blankets made from top-notch materials. Cotton is the cheapest option but there are many other materials that are more durable and preferred by babies due to their capacity to imitate the mother’s womb. You can make your baby feel special and have something to remember as he or she grows older by giving them personalized blankets. These are great options for baby showers because you can add them to a basket filled with baby diapers, burp clothes, baby T-shirts, and bottles. Cute and attractive, these blankets have the baby’s name on it or a sweet message.